• Congratulation to our team (led by PhD student Liu Liu, Liyuan Pan) for winning the 3rd place at the Google Landmark Challenge at CVPR 2018. There were over 100 teams worldwide participated in the Challenge. The novel technique that we developed can be used for robot (self-driving cars) navigation and vehicle localisation. • Express-of-interest: one 12 month postdoctoral fellow position will be open at the ANU computer vision group, working on 3D computer vision for autonomous vehicle navigation. Contact me if you are interested (expect to start: 09-2018 or ASAP). •Invited talk at SSIST 2018, ShanghaiTech. • Winning the prestigious Marr Prize Honourable Mention at ICCV 2017. • Congratulations to Yifu and Laurent for winning the Best Student Paper Award at ICVS 2017. •Congratulations to Suryansh et, al. 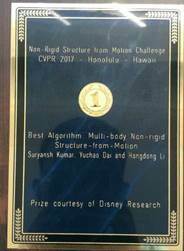 for winning the Best Algorithm Award at the NRSFM-Challenge at CVPR 2017 ! •Kaihao Zhang is doing intern at China’s Tencent AI Research Lab in Shenzhen. •Ami Drory has completed his PhD study in applied computer vision for biomechanics and sports science. • I will be serving the ACCV-2018 as a co- Program Chair. (Asian Conference on Computer Vision 2018). • I serve an Area Chair for ICCV 2017, Venice, Italy. • My PhD student Mr. Joey Zhou is visiting ETH, UZH (University of Zurich) until 2018, studying event camera based visual SLAM, under the supervision of professor Davide Scaramuzza - Robotics and Perception Group. • Dr. Laurent Kneip has joined Shanghai-Tech University as a faculty member. •Dr. Dingfu Zhou has completed his postdoc period at the ANU and assumed a position at Baidu IDL, Beijing. • Serve an Area Chair for ICCV 2015. • Gao Zhu graduated with PhD degree and joins DJI in Shenzhen. • Ajanthan graduated with a PhD degree in 2017 and now is a Postdoc with the Torr’s computer vision group at Oxford University. • Deep Learning for Video based Face Identification paper accepted by CVPR 2017. • Deep learning for image matching paper has been accepted to ECCV 2016. • Ji Pan graduated and joins the computer vision group of University of Adelaide. •Our ANU vision group have 12 papers successfully accepted by the CVPR 2016 conference —a premier conference in international computer vision research community. • I serve on the Editorial Board for IEEE T-PAMI. • Jiaolong Yang is visiting Harvard University as a visiting student. • Jiaolong Yang is doing an intern at Microsoft Research Asia in Beijing. • Jointly with Dr Kim co-organise the ACRA 2015 conference, a major annual event of Australia Robotics and Automation Association. • Our monocular optical flow algorithm has obtained the top rank on the KITTI and MPI Sintel (clean) optical flow benchmark at the time of CVPR 2015 submission. 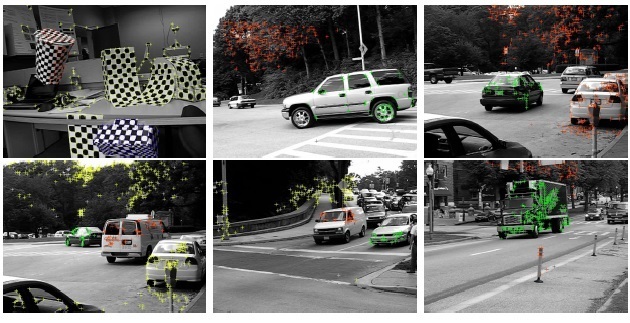 Optical flow is a key algorithm for 3D motion perception used in visual odometry for vehicle navigation and self-driving (autonomous driving). • A new postdoc position is open until September 2015. The postdoc will work in the intersection of Computer Vision and Plant Sciences within the collaboration between ARC Centre of Excellence for Robotic Vision (ACRV, roboticvision.org), ARC Centre of Excellence for Plant Energy Biology (CPEB, plantenergy.uwa.edu.au), and the Australia Plant Phenomics Facility (plantphenomics.org.au). • Welcome new Research Fellows joining the ACRV (Australia ARC Centre for Robotic Vision)- ANU node, Dr. Anoop Cherian (formerly with LEAR, INRIA, Grenoble,France), Dr. Basura Fernando (formerly with KU Leuven,Belgium). We are also looking forward to welcoming two more researchers to join the ANU CVR group, Dr. Ijaz Akhter (currently with MPI Tuebingen, Germany) and Dr. DingFu (currently with UTC Paris, France). • serve as an Area Chair for ICCV 2015 in the area of 3D Computer Vision and Structure-From-Motion. • serve as Area Chair for BMVC 2015, Area Chair for 3DV (3DPVT) 2015, and TPC member for AVSS 2015. • A short-term postdoc position is available at the CVR group of ANU (partly funded by ARC). Details can be found here in this PDF file. Closing date: 1st May 2015. • Congratulations to Dr Laurent Kneip who is awarded an ARC DECRA Early Career Grant 2015-2017. We have 3 recent DECRA Fellows with the ANU Computer Vision Group. • Congratulations to Yuchao for winning the DSTO Best Paper Award at DICTA 2014. • Pan J, Yiran Z, Mathieu S and Hongdong have won ICIP'14 Best Student Paper Award at the IEEE ICIP 2014 --the premier conference in IEEE Image Processing! 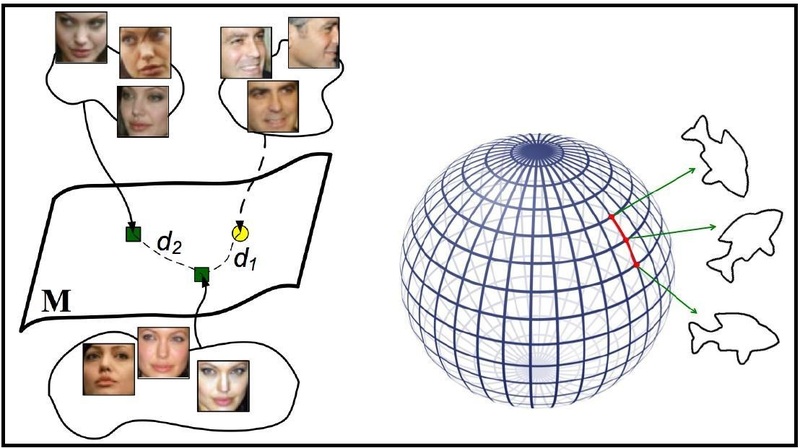 • Our Computer Vision group at ANU/NICTA have 12 papers accepted to ECCV 2014 Zurich. • Congratulations to ANU/NICTA vision group. We have 12 papers accepted to CVPR’2014 — CVPR is one of the top conferences in computer vision. • serve IEEE CVPR-2015 Programme Committee as Area Chair (in 3D Computer Vision). The conference will be held in Boston 2015. •Several new ACRV PhD Scholarships in computer vision, robotics, machine learning, are available. Welcome top students with strong research interests to apply. •Four (4) ACRV Research Fellow positions are available at the CVR group of ANU. Closing date: 7th July 2014. • Five PhD Scholarships in robotics and computer vision (machine learning) are available for the 2015 intake. ANU application due date: 30th August 2014. • Jointly with QUT (led by professor Peter Corke, QUT), Monash, Adelaide, as well as our very strong international partners (@ Oxford, ETH, ICL, Georgia-Tech, INRIA, etc. ), we have succeeded in receiving major research funding ( $25 Millions AUD) from ARC for building a Research Centre of Excellence. • Congratulation to Dr Yuchao Dai who wins an ARC DECRA - Early Career Award for 2014-2016. • I am an Area Chair for ECCV 2014 (3D vision), and an Area Chair for ICCV 2013 . • Welcome new Research Fellow Dr Laurent Kneip (PhD 2012, RSL, ETH Zurich) joining ANU computer vision and robotics group. • We won an ARC Discovery Grant for 2013-2015, jointly with Prof Hartley, Professor Phil Torr (Oxford), and Prof Fredrik Kahl (Lund). We will develop novel efficient methods for large scale semantic labelling and annotation of images and videos. • I am organizing (as one of the program co-chairs) ICCV Workshop on CVAB, and ICCV Workshop on Big data in 3D Vision, Sydney 2013. • I was a member of BVA (Bionic Vision Australia), and an associate investigator for the ARC Australian Bionic Eyes Project in 2009-2010. • Ten (10) papers accepted by CVPR 2013 (3 orals) from authors of the ANU/NICTA Computer Vision group. • Congratulations to Sadeep Jayasumana, Richard Hartley et al for winning the Canon Best Paper Award at DICTA 2013 Hobart. • Congratulations to Worapan et al for winning the IEEE ICPR Best Student Paper Award (biometric track) at ICPR 2010. Visit ISRR Paris 6 University (UPMC). August-Sept, 2009. • Congratulations to Yuchao, Mingyi for winning the prestigious IEEE CVPR Best Paper Award at CVPR 2012 Rhode Island, Providence, for their work on Nonrigid (deformable shape) structure-from-motion contributing to 3D computer vision. 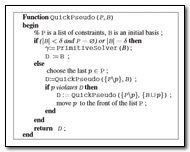 • Currently teaching postgraduate/undergraduate ENGN4528/6528 Computer Vision, 2011, 2013, 2014, 2015 S1. • Currently serving SRS convenor 2013, 2014. • Teaching ENGN4627/6627 Intro to Robotics for 2010, 2011, 2012, and 2014. • Visit University of Southern California, LA and University Berkeley in 2010. • Attend ICCV 2009 in Kyoto, Japan. • Attend CVPR 2008 in Anchorage, USA. • Attend ECCV 2006 in Graz, Austria. • Attend ICCV 2005 in Beijing, China. I am a CI (Chief-Investigator) for the Australia ARC Centre of Excellence for Robotic Vision (CE14—$21 million funding strength), and a faculty member of the Computer Vision and Robotics group at the ANU, where I do teaching and research in the field of Computer Vision (3D Vision Reconstruction, SFM and Robot SLAM), Image Processing, and Machine Learning. I was a visiting professor at the Robotics Institute of CMU, Carnegie Mellon University, for 2017— 2018. I was a visiting fellow of Oxford university VGG in July 2013. During 2008-2009 I was with NICTA as a Senior Scientist contributing to the ARC-funded Australia’s Bionic Eye (special initiative, major grant of $52 millions). Prior to 2010 I was a Fellow with the RSISE @ ANU and a seconded Senior Researcher with NICTA (National ICT Australia), Canberra Labs until 2008. I serve as the Associate Editor for IEEE- Transaction on Pattern Analysis and Machine Intelligence (PAMI)—the No.1 journal in Computer Vision and Artificial Intelligence, and Associate Editor for Image and Vision Computing, etc. Program Chair for DICTA 2017, ACCV 2018, ACRA 2015, and Area Chair for recent CVPR, ICCV, ECCV, BMVC, Program Chair for ACCV 2018, and 3DV. I am privileged to be working under the mentoring of Professor Richard Hartley at ANU since 2004. Jointly with my PhD students and colleagues we won a number of most prestigious awards in Computer Vision research, including the IEEE CVPR Best Paper Award, ICCV Marr Prize (Honourable Mention), IEEE-ICPR Best Student Paper Award, IEEE ICIP Best Student Paper Award, DSTO Best Paper Prize, and multiple DICTA Best Paper Awards. ANU is the best research university in Australia, located in the beautiful “Bush Capital” City of Canberra. ANU has multiple scholarship schemes available for PhD applicants. We also welcome students to apply to our ANU Computer Vision PhD Program. 2. Novel Camera Sensors for robust robotic vision (funded by ARC Centre of Excellence for Robotic Vision). 3. Unorganised image based City-scale 3D modelling (funded by an ARC Discovery project). 4. Visual Navigation for autonomous driving cars (self-driving cars, funded by a global automobile manufacturer). 5. Human-computer interaction for medical images (funded by Microsoft Research, via an ARC Linkage grant). 6. Non-rigid Shape and Motion Capture via subspace or sub-manifold clustering. 7. Global optimisation and inference for MRF/CRF. 8. Artificial neural networks and Deep Learning. 9. Mathematics Optimisation in low level computer vision problems. 10. Autonomous flying of autonomous robots in all-weather conditions. Dr. Laurent Kneip (Now a tenure track professor of Shanghai Tech), ARC DECRA Fellow; Dr. Viorela Ila ( is joining University of Sydney) , ACRV Research Fellow; Dr. Anoop Cherian (MERL, Boston), ACRV Research Fellow; Dr. Yuchao Dai (now a Professor of NPU), ARC DECRA Fellow; Dr. Dingfu Zhou (Senior Researcher of BaiDu IDL), ANU Postdoctoral Fellow ;PhD students: ;Jiaolong Yang (Researcher of MSRC, Microsoft-Research), Jie Liang, Mr. Cristian Rodrigiuze, Joey Zhou, Mehdani M., Liu Liu, Yiran Zhong, Dylan Campbell, Pan Ji, Sadeep Jayasumana,; Ajanthan Thalaiyasinga,Gao Zhu,Yansheng Ming, Mohammad Sadegh,Zhipeng Xiao, Jae-hak Kim, Jun Sun, Gucan Long. The CVPR, ICCV and ECCV are premier conferences in Computer Vision research community. The IEEE TPAMI,TIP, IJCV are top journals in the field of computer vision, image and pattern recognition. Dylan C. et. al. 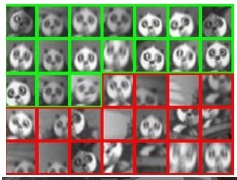 Globally-Optimal Inlier Set Maximisation for Simultaneous Camera Pose and Feature Correspondence, ICCV 2017. ICCV Oral Presentation. Suryansh, et. al. 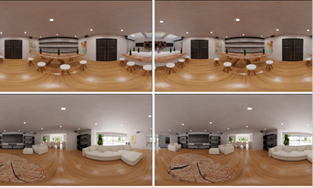 Monocular Dense 3D Reconstruction of a Complex Dynamic Scene from Two Perspective Frames, ICCV 2017. Liu Liu, et. A;, Efficient Global 2D-3D Matching for Camera Localization in a Large-Scale 3D Map, ICCV 2017. Kumar, Suryansh and Dai, Yuchao and Li, Hongdong. Spatial-temporal union of subspaces for multi-body non-rigid structure-from-motion. Pattern Recognition, 2017. 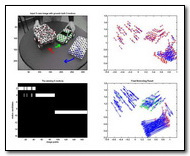 Shape Interaction Matrix Revisited and Robustified: Efficient Subspace Clustering with Corrupted and Incomplete Data, IEEE ICCV 2015, Oral (3% acceptance rate). Training an artificial neural networks for image edge detection, JZJU-Science, vol-2, 2000. 3D computer vision for ANU Self-Driving Car: Visual odometry and vehicle ego-motion estimation for autonomous driving using side-viewing multiple-camera rig, TR-ANU-CVRG, Jan. 2016. 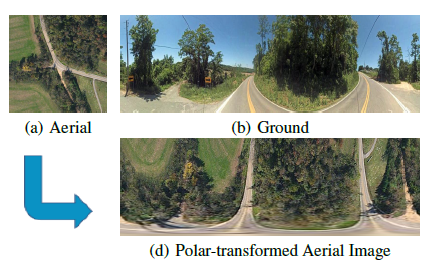 Alvaro Parra Bustos, Tat-Jun Chin, et al, Fast Rotation Search with Stereographic Projections for 3D Registration, accepted by IEEE T-PAMI, 2016. IEEE Conference on Computer Vision and Pattern Recognition (CVPR), Boston, MA, June 2015. Dense, Highly-Accurate Optical Flow Computation: the Piecewise Parametric Model Revisited. Lie-Struck: Affine Tracking on Lie Groups Using Structured SVM. Rank Minimization or Nuclear-Norm Minimization: Are We Solving the Right Problem? Null space clustering with applications to motion segmentation and face clustering. Subspace method for multibody motion segmentation with unknown correspondences, in ECCV 2014. A Parctical Algorithm for Quasi-convex Triangulation with Outliers, <full paper in PDF>, in IEEE CVPR 2007. (revised version: Thank Carl Olsson and Fredrik Kahl). Optimal Essential Matrix Estimation via Inlier-Set Maximization. UPnP: An Optimal O(n) Solution to the Absolute Pose Problem with Universal Applicability. ECCV (1) 2014: 127-142. 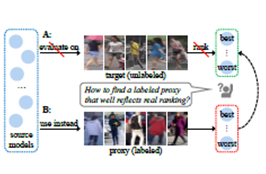 Efficient Computation of Relative Pose for Multi-Camera Systems, in IEEE CVPR 2014. Optimizing over Radial Kernels on Compact Manifolds. IEEE CVPR 2014: 3802-3809(ORAL presentation). Symmetry Detection by Contour Grouping, IEEE ICIP 2013. Multi-View 3D Reconstruction from Uncalibrated Radially-Symmetric Cameras, International Conference on Computer Vision, ICCV 2013. A Framework for Shape Analysis via Hilbert Space Embedding, International Conference on Computer Vision, ICCV 2013. Five Point Motion Estimation Made Easy, <full paper in PDF>, Pattern Recognition, 18th International Conference, ICPR 2006. 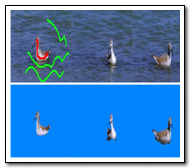 Rotation Averaging, <full paper in PDF>, International Journal of Computer Vision - IJCV, 2013. A Branch and Bound Approach to Correspondence and Grouping Problems, IEEE Transactions on Pattern Analysis and Machine Intelligence, T-PAMI, vol. 99, 2012. Connected Contours: a New Contour Completion Model that Respects the Closure Effect, in IEEE CVPR 2012 (ORAL). (acceptance rate is 2.5%, 48 papers accepted out of 1933 submissions) , June 2012. A Simple Prior-free Method for Non Rigid Structure from Motion Factorization, in CVPR 2012 (ORAL). IEEE CVPR Best Paper Award-2012 (prestigious award in international Computer Vision community. The winner out of 1,933 submissions in 2012). Open source code is available. Globally Optimal Consensus Maximization for Robust Multiple view Geometry Estimation, <full paper in PDF>, In ICCV 2009, Kyoto, 2009. Sadeep Jayasumana, Richard Hartley, Mathieu Salzmann, Hongdong Li and Mehrtash Harandi. Combining Multiple Manifold-valued Descriptors for Improved Object Recognition, IEEE DICTA 2013, CiSRA"Best Recognition Paper Award". Multiple view transformation based approach to view-invariant human gait recognition, International Conference on Pattern Recognition, ICPR 2010. (ICPR Best Student paper Award (Biometric Track)). Joint Contour Cue and Region cue Salient Image Segmentation (PDF coming soon..). IEEE CVPR 2013 (poster). Consensus Set Maximization with Guaranteed Global Optimality for Robust Geometry Estimation, <full paper in PDF>, In ICCV 2009, Kyoto, 2009. Efficient Reduction for solving L_infinity Problems in Multiview Geometry, <preprint in PDF>. In proc. IEEE CVPR 2009, Miami, 2009. An Efficient Hidden Variable Approach to Minimal-Case Camera Motion Estimation, IEEE Transactions on Pattern Analysis and Machine Intelligence (PAMI), IEEE PAMI 2012. Two-view Motion Segmentation from Linear Programming Relaxation, <full paper in PDF>, in IEEE CVPR 2007 (ORAL). A Practical Algorithm for L-infinity Triangulation with Outliers, <full paper in PDF>, in IEEE CVPR 2007. (revised version: Thank Carl Olsson and Fredrik Kahl). Supervised Dimensionality Reduction via Sequential Semi-definite Programming, Pattern Recognition, Elsevier, 2008. 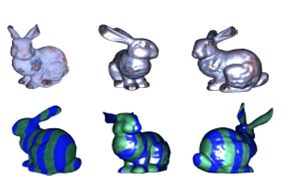 Element-wise Factorization for N-view Projective Reconstruction, <full paper in PDF>. in ECCV 2010. Yuchao DAI was funded by CSC (Chinese Scholarship Council). A Simple Solution to the Six-point Two-view Focal-length Algorithm, <Source code can be found in the paper PDF>, in ECCV 2006. Rotation Average with Application to Multi-camera Rig Calibration, in Proc. ACCV 2009. Motion Estimation for a Multi-camera System Using Global Optimization, in Proc. IEEE CVPR 2008. 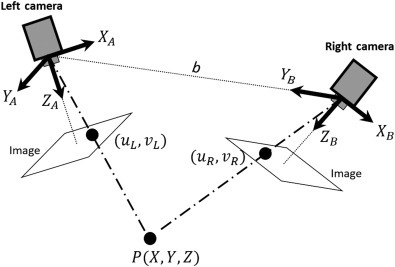 Estimating Relative Camera Motion from the Antipodal Epipolar Constraint, IEEE Transactions on Pattern Analysis and Machine Intelligence, PAMI 2011. 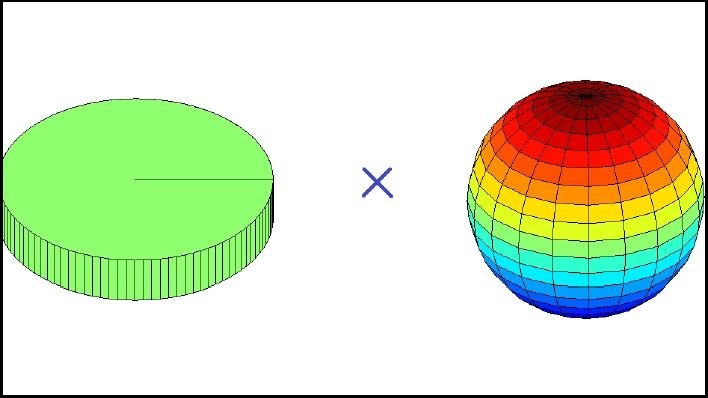 A New Conformal Spherical Representations for 3D Shapes, Pattern Recognition, an International Journal, Elsevier Publisher, 2007. DOI Bookmark: 10.1016/j.patcog.2007.01.021 (5-Year Impact Factor: 3.725). Interactive color image segmentation with linear programming, Journal of Machine Vision and Applications, (MVA), 2010. Reconstruction of underwater Image by Bispectrum, IEEE International Conference on Image Processing, ICIP 2007.
in Proc IEEE- ICASSP 2004. Correspondences, in Omni-Vision'05, in conjunction with IEEE - ICCV 2005, Beijing. (Free Matlab source code is available on request). Disclaimer: The information provided on this page, and on others beginning with http://rsise.anu.edu.au/~hongdong, is the personal responsibility of the author, and not to be taken as those of the ANU.